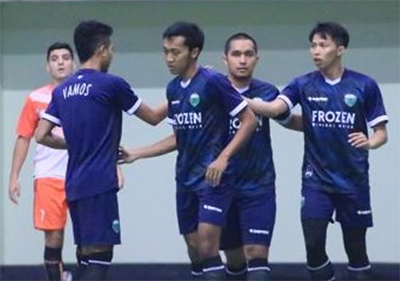 Yogyakarta: Vamos FC will play a friendly against Melaka United of Malaysia on Saturday in what will be their final warm-up ahead of the 2018 AFC Futsal Club Championship next month. In addition to measuring the strength of the team, the match will also serve as an evaluation before the hosts embark on their second outing in the tournament. The 2018 AFC Futsal Club Championship will run from August 1-12 in Yogyakarta and Vamos will have Nagoya Oceans of Japan as well as Myanmar’s Victoria University College FC and China’s Dalian Yuan Dynasty FC for company in Group A.